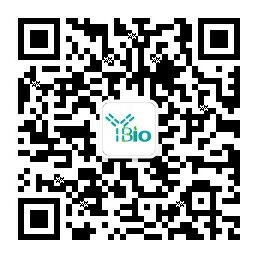 别 名 FGF 11; FGF-11; FGF11; FGF11_HUMAN; FHF 3; FHF-3; FHF3; Fibroblast growth factor 11; Fibroblast growth factor homologous factor 3; FLJ16061; MGC102953; MGC45269. Fibroblast growth factor-1 also designated basic FGF, are members of a family of growth factors that stimulate proliferation of cells of mesenchymal, epithe-lial and neuroectodermal origin. Additional members of the FGF family include the oncogenes FGF-3 (Int2) and FGF-4 (hst/Kaposi), FGF-5, FGF-6, FGF-7 (KGF), FGF-8 (AIGF), FGF-9 (GAF) and FGF-10–FGF-23. Members of the FGF family share 30-55% amino acid sequence identity and similar gene structure, and are capable of transforming cultured cells when overexpressed in transfected cells. Cellular receptors for FGFs are members of a second multigene family including four tyrosine kinases, designated Flg (FGFR-1), Bek (FGFR-L), TKF and FGFR-3. Probably involved in nervous system development and function.